Most common in northern states. This beetle infest carpets and feeds on the fabric. 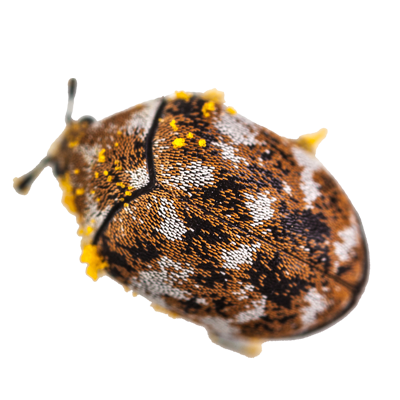 It also feeds on animal products that are left undisturbed such as wool, leather, furs, etc.These beetles are small and oval in shape. They’re grayish black in color with a varied pattern of white and orange scales on the back. An orange-red band of scales runs down the middle of the back.